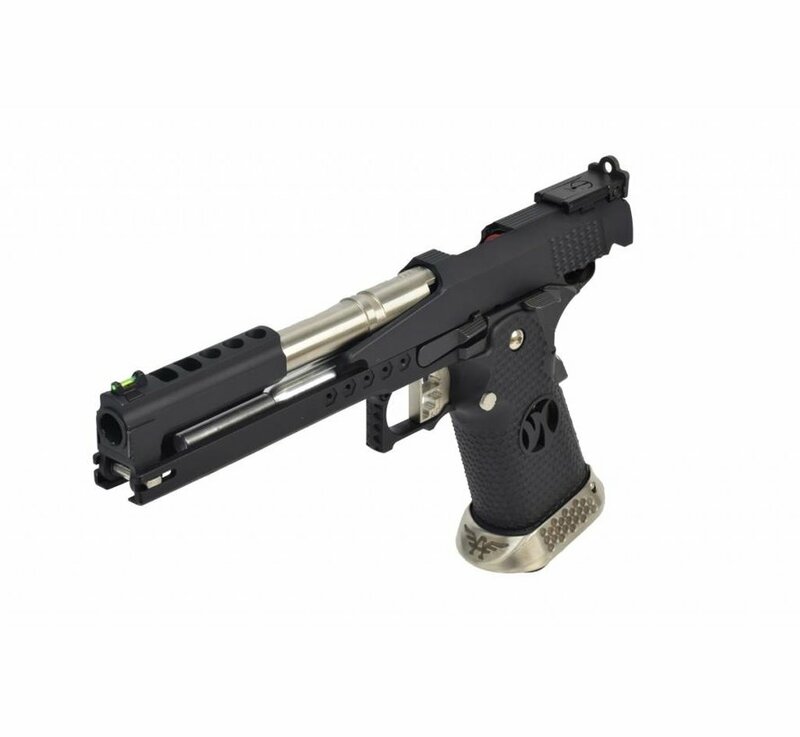 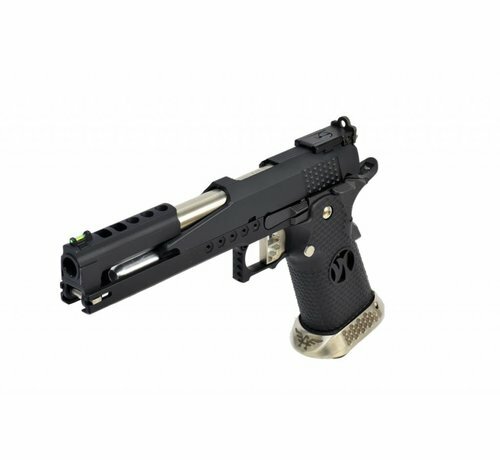 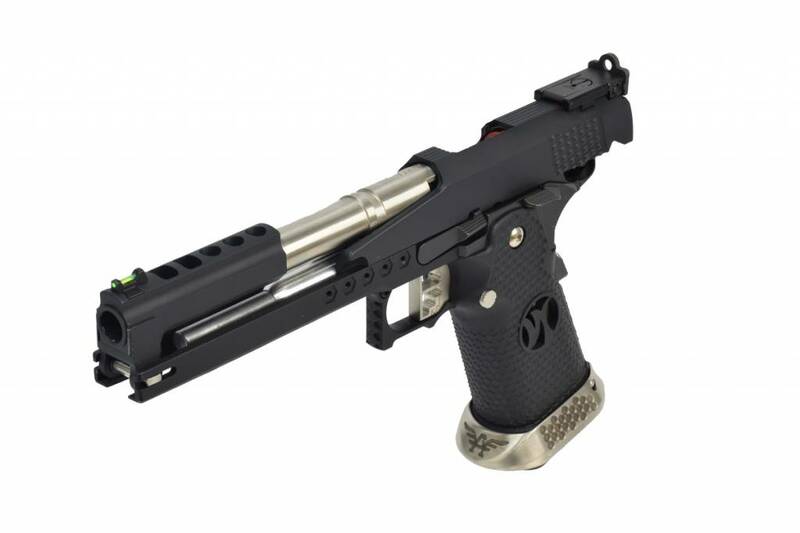 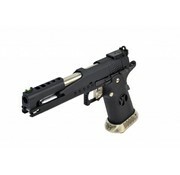 Armor Works HX2202 IPSC Split Slide (Black). 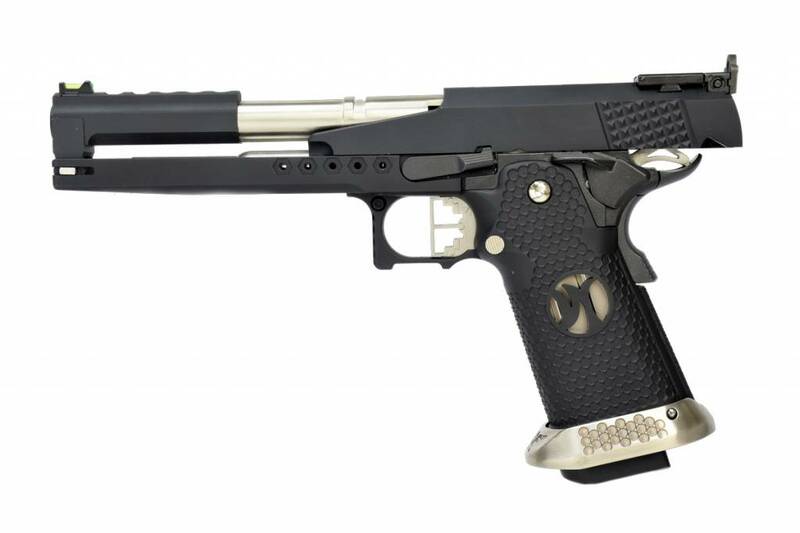 AW Custom strives to provide Airsofters with high quality that come directly from the factory already upgraded. 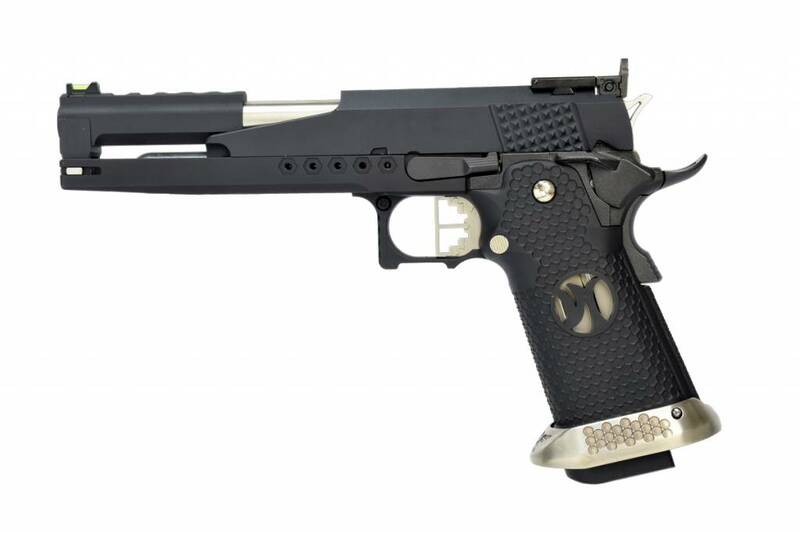 Armorer Works does not simply change the finish of the gun and label it as "custom". 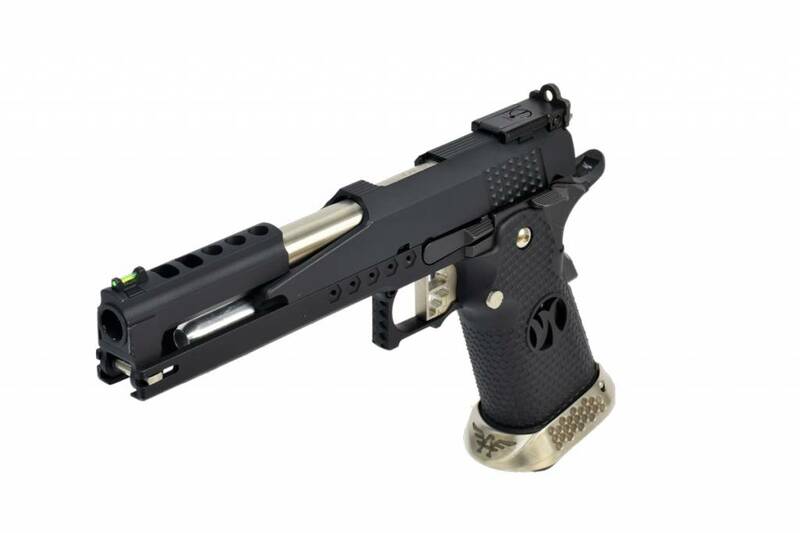 Each gun that leaves Armorer Works has been modified with enhanced features that truly improve the comfort, performance and efficiency of the gun as well as cosmetic upgrades that are not generally seen in an out of the box gun. 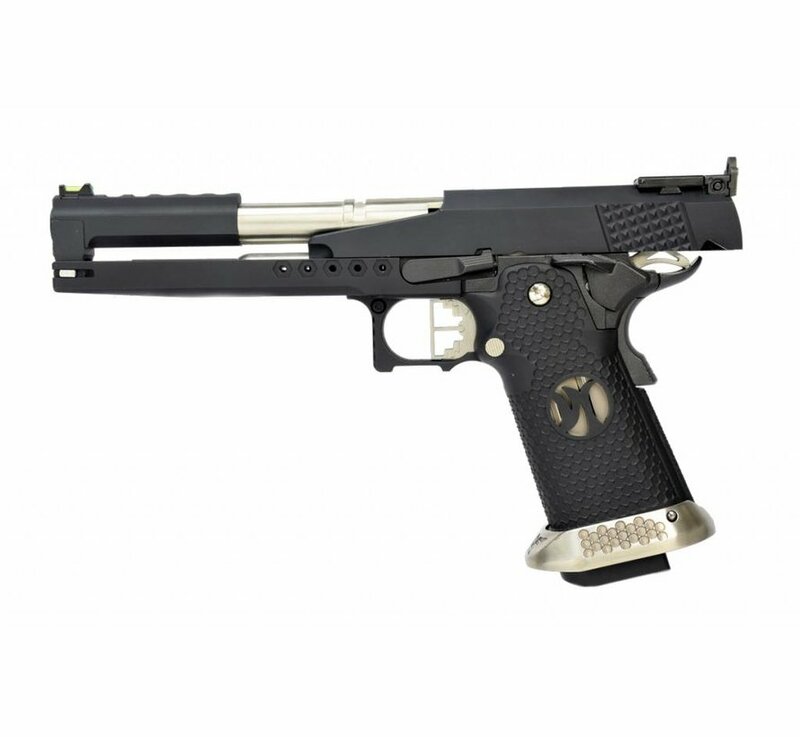 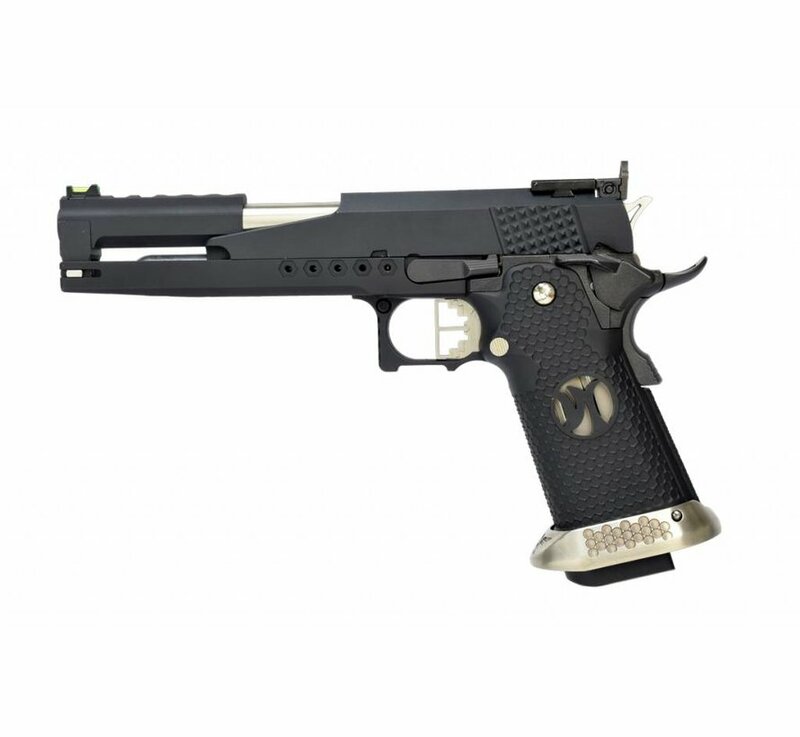 Custom finishes, improved grips, sights and ergonomic modifications as well as improved performance and gas efficiency are hallmarks of the dedication Armorer Works puts into providing their clients with the highest quality Airsoft products possible.